T-Mobile has confirmed to TechRadar that it has started rolling out the Android 2.2 update to its HTC Wildfire customers. 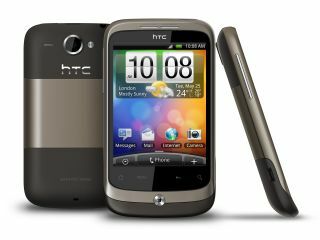 "As you will have seen HTC have announced that Android 2.2 will begin rolling out for the HTC Wildfire this week. We are pleased to confirm that customers with T-Mobile branded handsets will be receiving this update at the same time. "As with all HTC updates this will be a phased release over the coming weeks and you will receive an alert on your handset when it is ready to update." HTC only announced the new update would be available yesterday, and almost instantly Vodafone announced it was available to its users. T-Mobile joining the party means it leaves Three as the only network in the UK that hasn't confirmed its Wildfire customers will be getting the Android 2.2 upgrade. The new update brings elements like Wi-Fi hotspots, improved performance and camera tweaks to the HTC Wildfire, but Live Wallpaper and Flash 10.1 are not included due to hardware limitations. However Flash Lite is being offered as a pseudo-substitute, so a fair few videos and animations should play to enhance websites. T-Mobile recently angered a number of its users with the promise of an Android 2.2 update for its Samsung Galaxy S, only to delay it over a week, so it's good news this upgrade is coming within 24 hours of the original announcement from HTC.